Fish and chips are a big favourite for family takeaways. They are nearly four times more popular than Indian Curries. 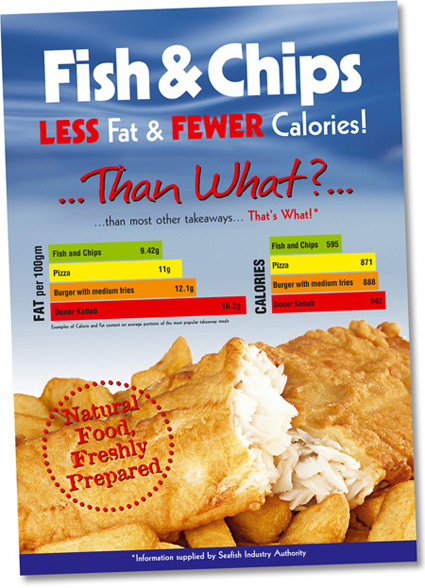 Fish and Chips have 9.42 grams of fat per 100 gram, beating all other takeaways. The average pizza has 11 grams, Doner Kebabs have around 16 grams and Chicken Korma has 15.5 grams.